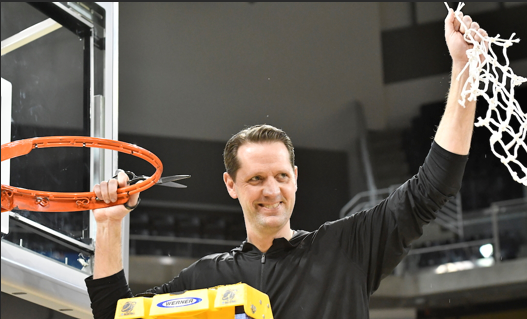 According to multiple twitter sources NKU’s John Brannen will be the next head coach for the Cincinnati Bearcats. Northern Kentucky's John Brannen has emerged as the favorite to replace Mick Cronin at Cincinnati, a source told @CBSSports. Cincinnati expected to hire Northern Kentucky’s John Brannen, source told @Stadium. Sources: Cincinnati is expected to hire Northern Kentucky's John Brannen as its next head basketball coach. 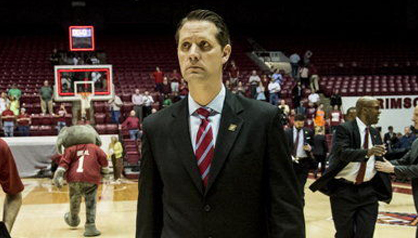 Coach John Brannen is 45 years old and an alumni Marshall U where he received his bachelor’s degree in business management in 1997 and was a Rhodes Scholar finalist as a college senior. Seems like a smart dude. 82–52 (.612) He took the Norse to two NCAA tournaments but came up short in the first round both times. Once losing to Kentucky and this year losing to Texas Tech. Not exactly anything to complain about. He was named the Horizon League’s coach of the year in 2017 after leading NKU to a first place finish in the league and their first NCAA tournament appearance. Before this time at NKU he started out as an assistant at Charlotte in 1999. Then moved on to EKU, St. Bonaventure, and VCU before landing at Alabama in 2009 where he was the interim and associate head coach. Brannen is originally from Alexandria, Kentucky so he’s pretty local and has the same feel to him as Fickell did when Bohn hired him. He comes in already being a solid recruiter and very familiar with the landscape of the city. This is definitely a step up on the coaching ladder for him though. Hopefully, this doesn’t turn the Bearcats Basketball program into a stepping stone program. The program is better than that and should aim to stay above. Hopefully Coach Brannen is comfortable. What he’s done at Northern Kentucky has been completely unprecedented over the last two years. No other Division I program has won a regular-season league title (2018), league tournament title (2017), played in the NCAA tournament (2017) and either NIT (2018), or NCAA tournament again, in each of their first two years as a division I school. In the time it took me to type the above, the announcement became official. All things considered this was a pretty quick process. Even for a society that wants instant gratification. The college basketball season was just over on Monday night. By Wednesday UCLA was holding a press conference announcing their new coach. Sitting here on Sunday afternoon UC announces Brannen is their guy. As of right now he’ll inherit a tremendous roster with four of the five starters returning and incoming freshmen and Mr. Basketball Samari Curtis coming in. Brannen is certainly an offensive minded coach, a change of pace a lot in the Bearcats fanbase were calling for. Just this past season his best player in his roster became the all time leading scorer at NKU. In many “way too early” rankings the Bearcats are everywhere from top 5 to not ranked. What’s this mean? Brannen has the potential to have a great first year in the red and black. Although a step back is more likely, all things considered. UC Athletic Director Mike Bohn wasn’t going to satisfy everyone in this hire. Many people had strong opinions on who Bohn should hire. Ultimately, it looks like he went with the one with the close ties to the area, a lot of former experience, and different brand of basketball than we’ve seen for the past 13 years. Details from his contract are not yet available. The expectations are high Coach. Let’s get it!